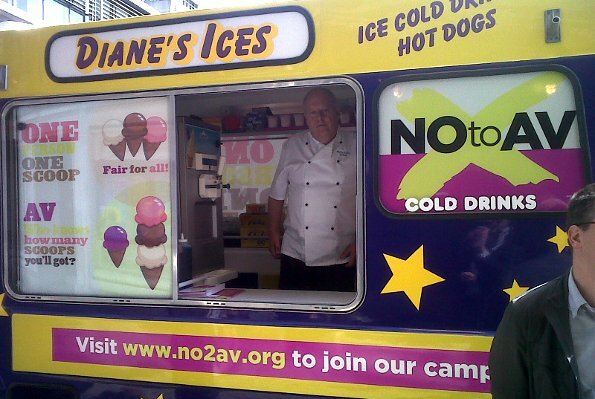 The No to AV campaign have pimped an ice cream with their colours and the slogan ‘one person, one scoop’. I imagine this will have been a relatively costly exercise for what is an incredibly weak analogy. Previous Yes to AV – Where do you want to go for a drink? Next Is your cat confused by AV?